Open Studio Art Show. This fall the SAC began their new membership program, known as the Open Studio. Members of the Open Studio are given access to the Art School during the fall and winter months as a collaborative studio space. At the end of the term, members showcase and sell the artwork they produced in an Art Show held inside the Art School. 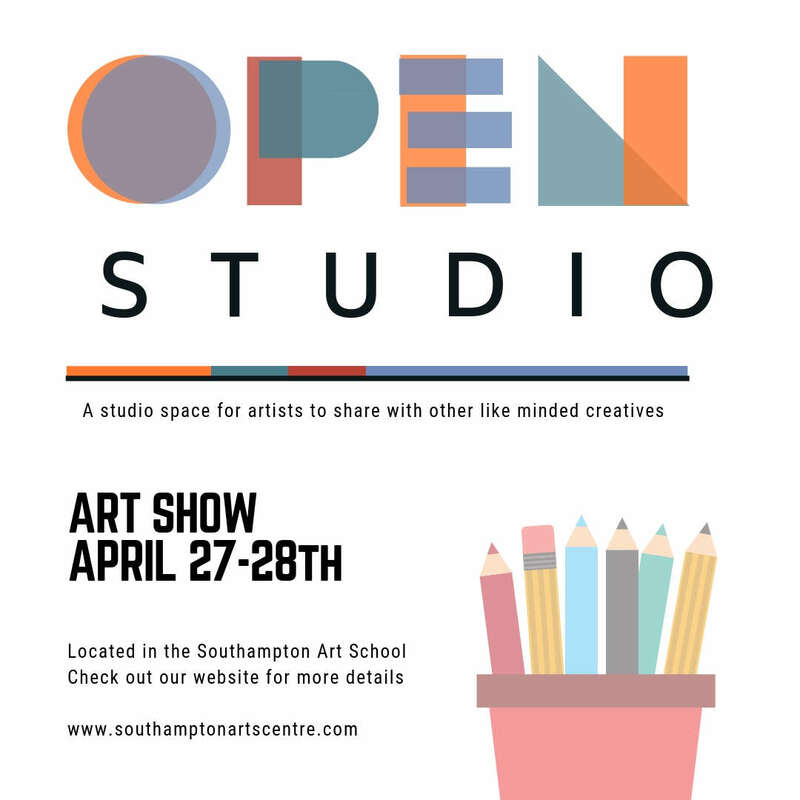 Open Studio Art Show will be held April 27 & 28 at the Southampton Art School, at 20 Albert Street in Southampton. Times to be determined closer to date. Organized by the Southampton Arts Centre Art School & Gallery.